ALL ROADS lead to the capital City of Mmabatho for the annual pilgrimage Mahika-Mahikeng Cultural Music Festival, next week. ‘Pray for Me’ crooner Anthony Hamilton returns to SA for a performance at the annual Mahika-Mahikeng jazz fest in NW on 9th Dec. The festival is a 4 -day programme with potpourri of various music, arts and cultural genres that brings that much needed ka-tching into the troubled province of Bokone Bophirima. 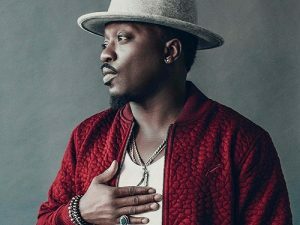 At the media brief held in Jozi recently, one of the organisers indicated this year will be different, in that in the history of the fest, an international and award Grammy winner Anthony Hamilton features in the jaw-breaking line-up. The ‘Pray for Me’ crooner has, on several occasions, expressed his love and respect for the country and its musicians. 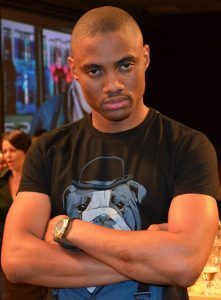 The love has been reciprocated – people even gave him the names “Skhumbuzo or Mzwandile” as his official African names. He also performs in Polokwane on December 16. The four-day jamboree begins from December 4 to 9 2018 in and around the vicinity of Mmabatho, that allows easy convenience for patrons, kids and family members to reach the venue. 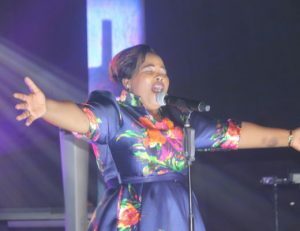 Gospel sensation Lebo Sekgobela billed to perform at the Gospel show, Mmabatjo Convention Center on 6th. And yes, the province needs that divine intervention as a result of a stormy political situation and the Gospel giants such as Lebo Sekgobela, Benjamin Dube, Dr Tumi, Sipho Ngwenya, David Sejake and others, will congregate at Mmabatho Convention Center on December 6, to provide that magic wand. In remembrance of the fallen Motswako star rapper HHP (Jabulani Tsambo) Maftown Heights music fest goes down at Mmabatho Stadium on 7th that boast hip-hop hippies and North-West natives (Khuli Chana, Fifi Cooper, Morafe), Nasty C, Riky Ricky, Miss Cosmo, Vetkuk vs Mahoota, and others. Ticket R100. Comedy will be headlined by Skhumba, Chris Mapane, Mashabela, Salesman and Stopnonsons, amongst others at the Mmabatho Convention Center on the 8th. Bac’ on the block kid. NW born Fifi Cooper will show what she’s made of at the Maftown Heights fest on 7th. 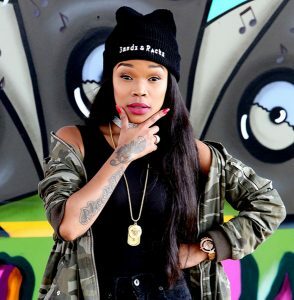 Hamilton, whom many suspect has a dual citizenship- as a result of being a regular in SA more often than not- shares the stage with omnipotent line-up Sho Majodzi, Shekinah (African name Thandi), Amanda Black, Zahara, Selaelo Selota, Sands, Lady Zamar, Black Motion, Kabelo (Buga Love), Sereetsi and Samantha Mogwe (Botswana). Gregarious and last years’ unassuming Metro FM’s Somizi will co-MC the proceedings at the Mmabatho Stadium -in the final leg of the fest -9th. Tickets for the Jazz festival begin from R200 at computicket outlets. The aim of the fest is to propel the economic drive of the province and the host city through celebration of music, arts and cultural festivities, and to create a lasting legacy of attracting tourists to the province. Comedian par excellence Chris Mapane is sure to live you in stitches on the 8th for the Comedy Night. It seems politicians have kept their promise not to meddle in the affairs of the fest, for NOW!